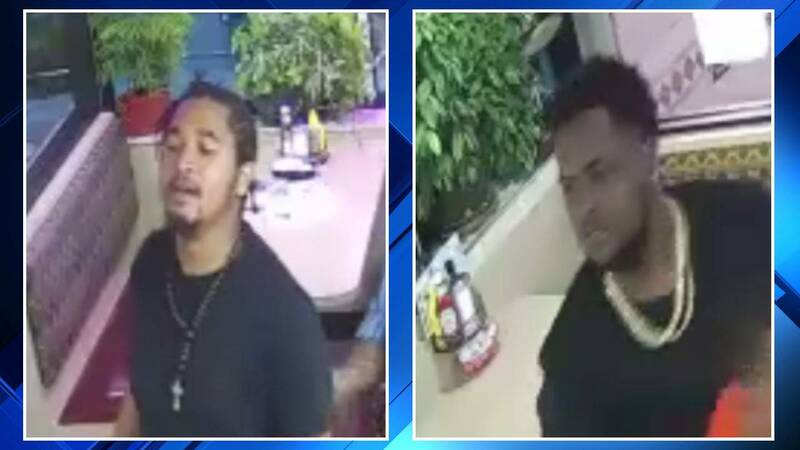 DETROIT - Detroit One Coney Island released dramatic surveillance video of a shootout sparked by an argument between two men inside the restaurant. Police are still searching for two gunman after one person was injured in a shootout at the restaurant in Midtown. You can watch the surveillance video above. Officials said gunfire broke out around 3:30 a.m. Wednesday after an argument at a nearby nightclub over a man making an unwanted advance on a woman. "It was chaos in here, that's for sure," witness Martin Dedvukaj said. A man was upset after being rejected by a woman at the Annex nightclub down the street earlier in the night. She wouldn't give out her phone number, and coincidentally, the man and woman both went to Detroit One Coney Island after leaving the club. The man approached the woman again at the restaurant, officials said. "A guy was talking with a girl, and I guess there were words exchanged about that situation," Dedvukaj said. Police said the man became belligerent, and another man in the restaurant jumped in to defend the woman. The belligerent man took out a gun and shot the other man twice in the thigh. "When the shots went off, everyone went to the floor ducking," Dedvukaj said. "Everyone, even the customers, went in the back of the kitchen. Yeah, it was crazy." The man who was shot had a friend with him who had a gun of his own and started shooting. "There was a guy facing over there by the cashier and there's a guy at the door and they were shooting each other just like that," Dedvukaj said. Nobody else in the restaurant was hit by gunfire. "There were about 20 or 30 people in the restaurant when this happened, so it was thankful that no one actually did get shot," Dedvukaj said. Police said one man was black and 5 feet 8 inches to 6 feet tall. He has a light complexion, short dreadlocks and a goatee. He was wearing a black shirt and black or gray shorts. The other man was black and 6 feet tall, police said. He has short hair and a dark complexion. He was wearing all black. Anyone with information is asked to call the Detroit Police Department's Third Precinct at 313-596-1340 or Crime Stoppers at 1-800-SPEAK-UP.